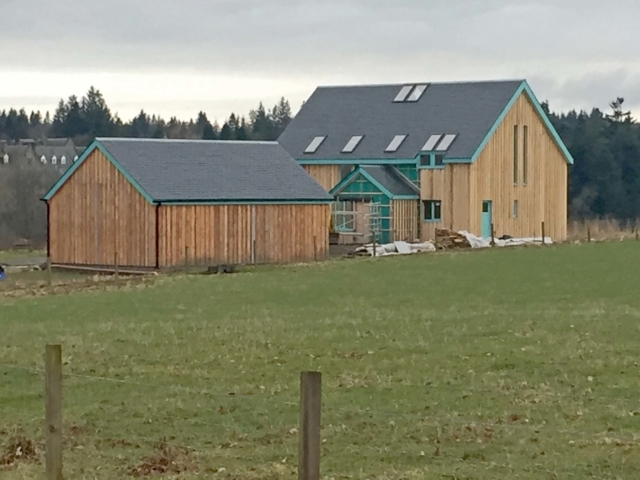 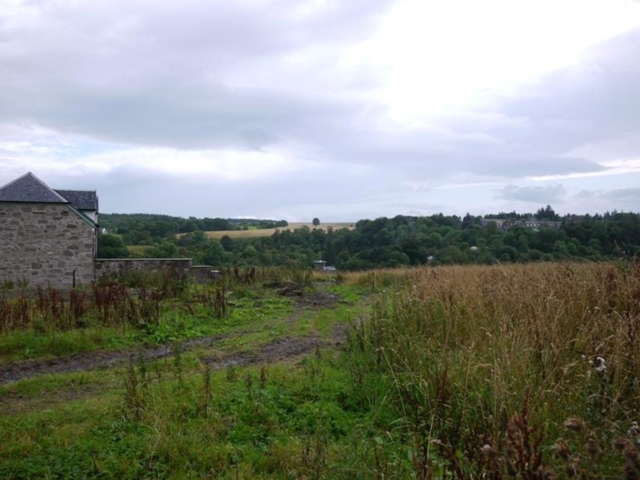 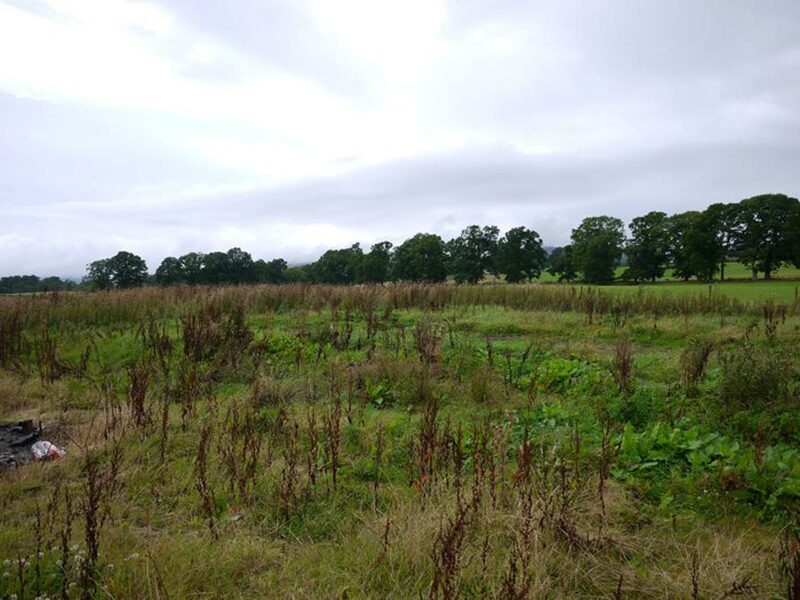 In 2014 ACA were appointed to design an energy efficient home for a professional couple in a beautiful rural location on the site of a former farm steading at Tullymoran, Perthshire. The site afforded impressive views of the Almond Valley, and this, together with solar thermal performance, influenced the orientation of the house on the site. 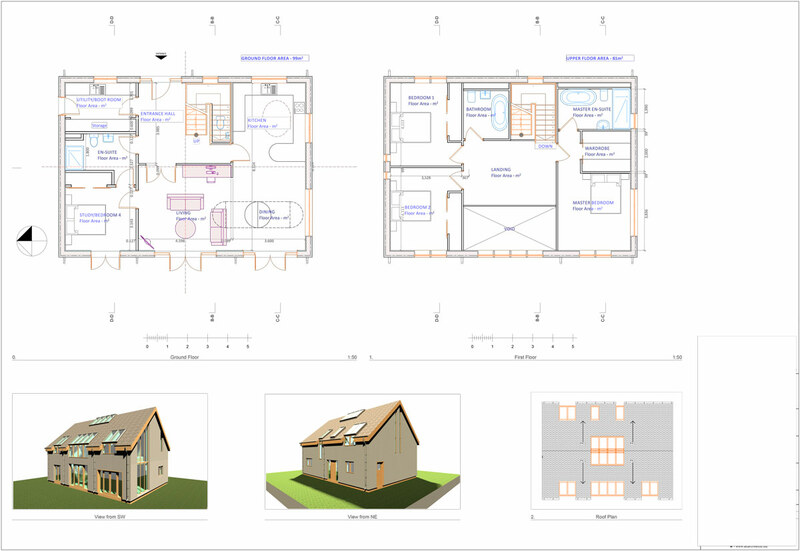 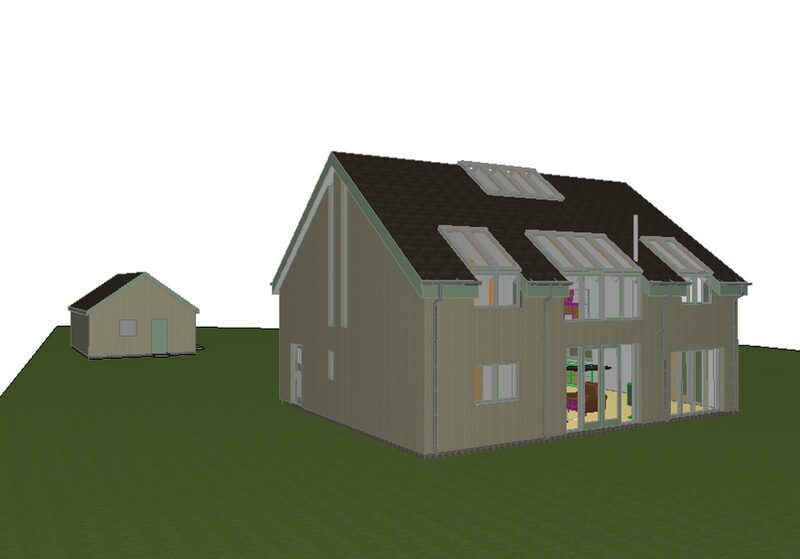 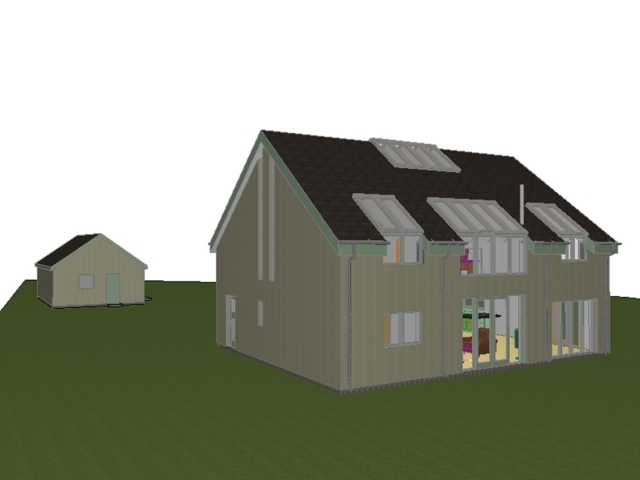 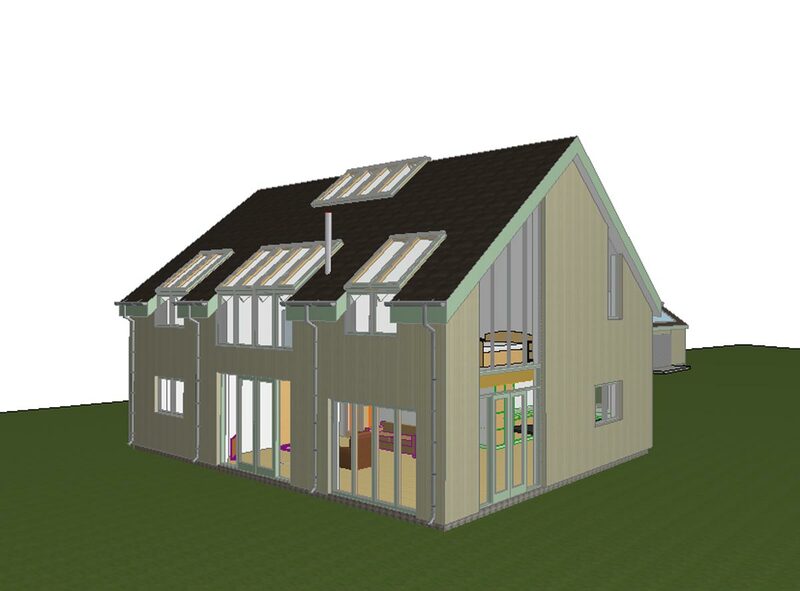 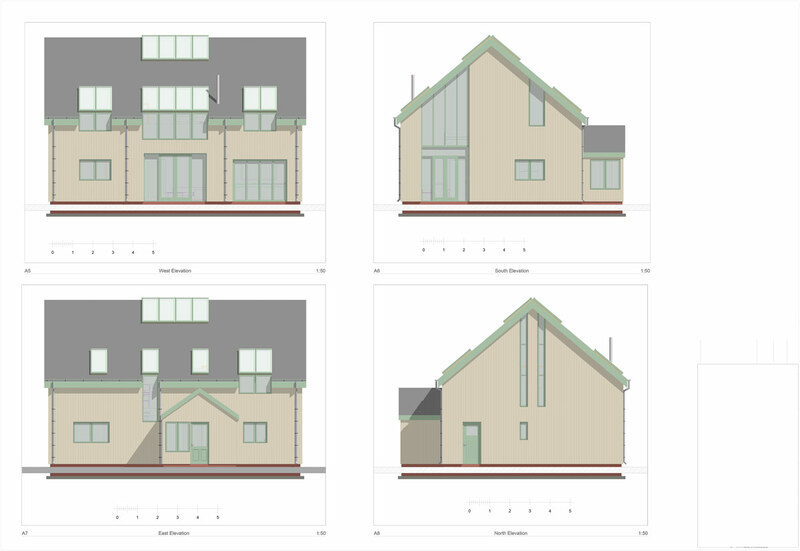 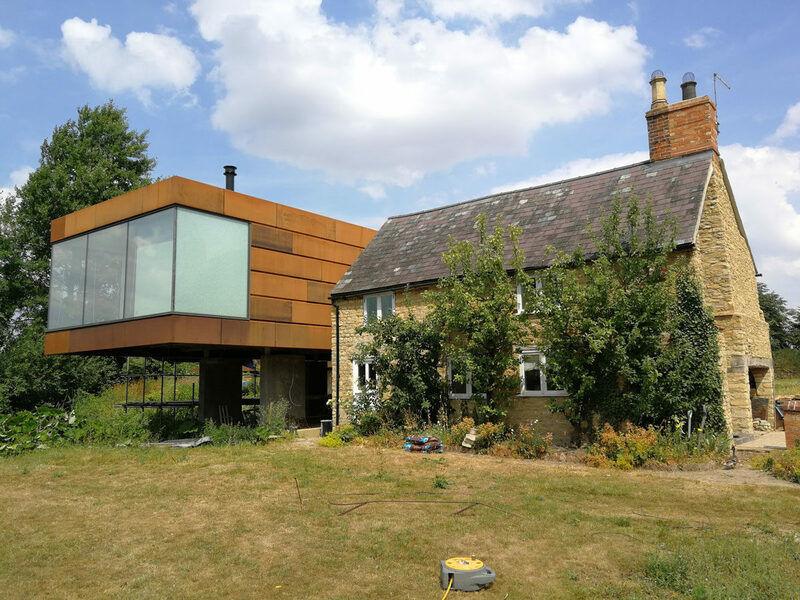 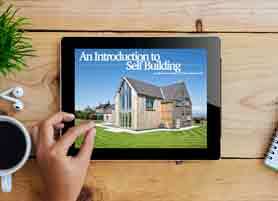 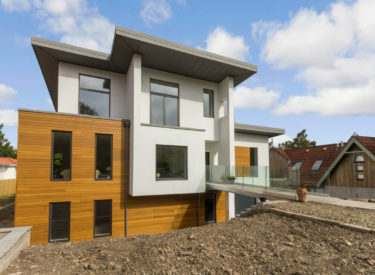 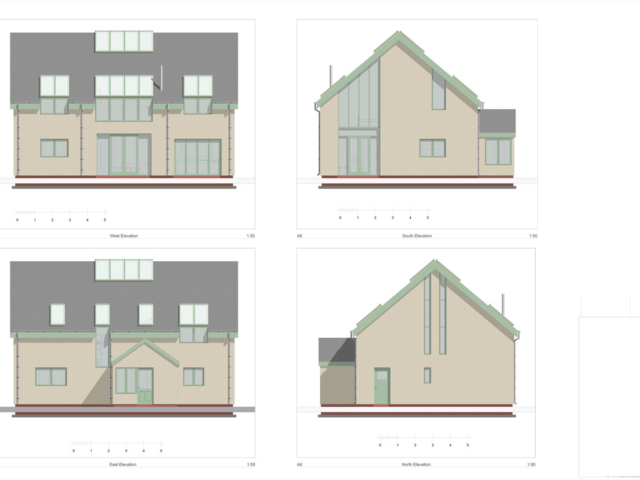 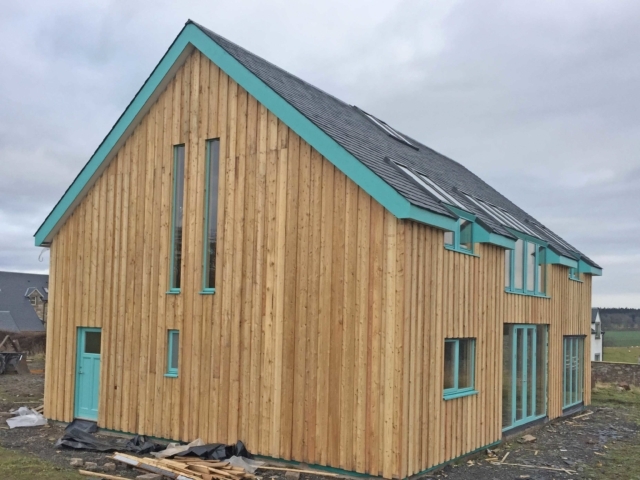 ACA’s brief was to design a 1½ storey, 3 bedroom house, almost to Passivhaus standards, which, once the main structure was erected, could be finished by the clients. 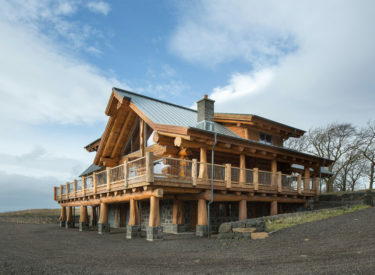 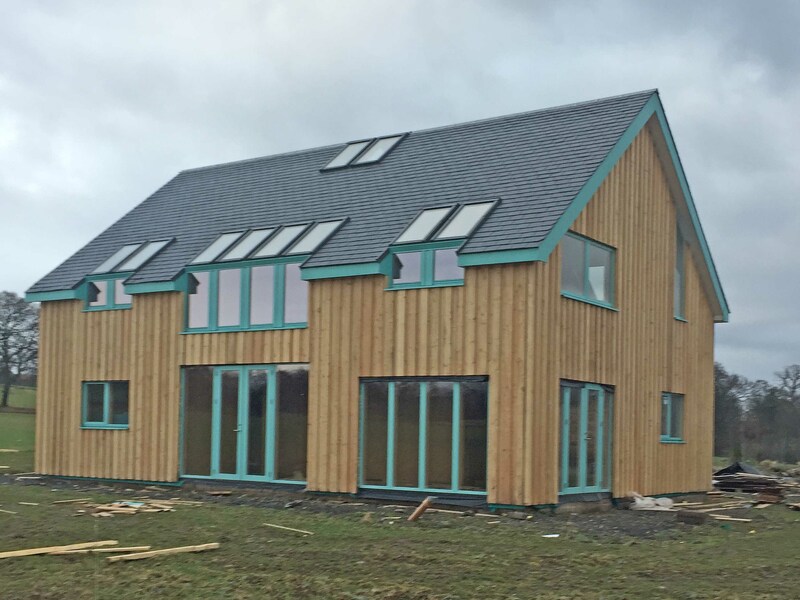 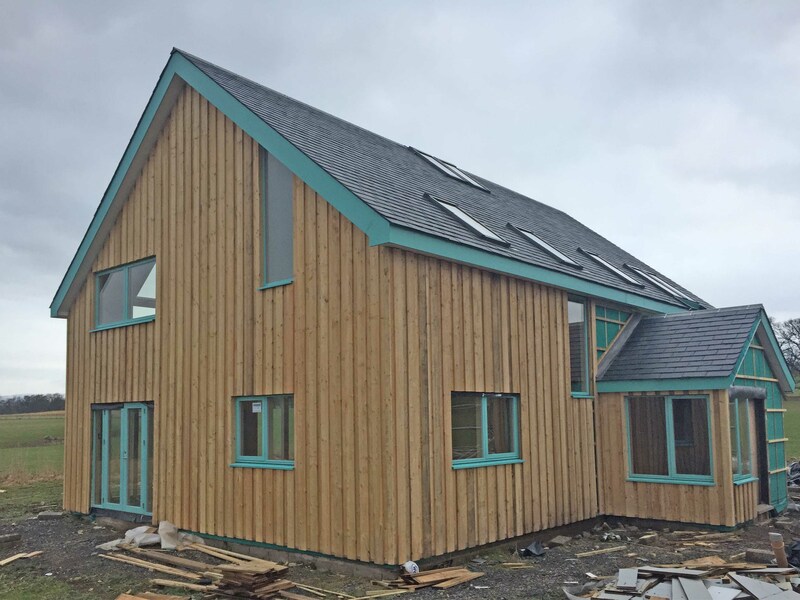 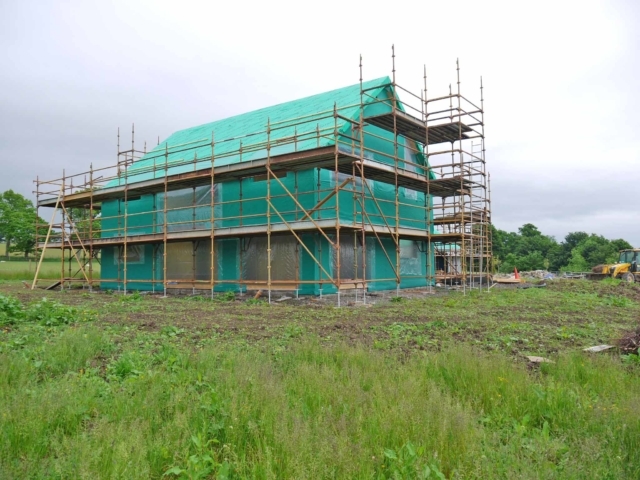 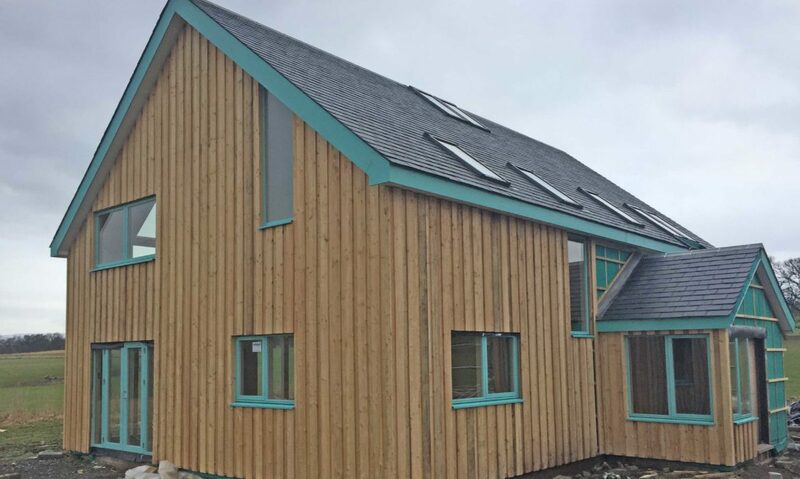 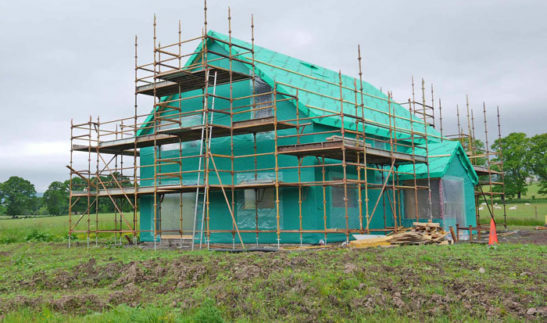 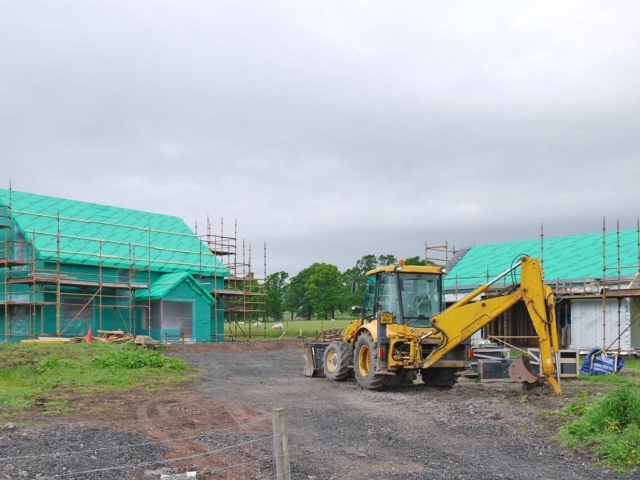 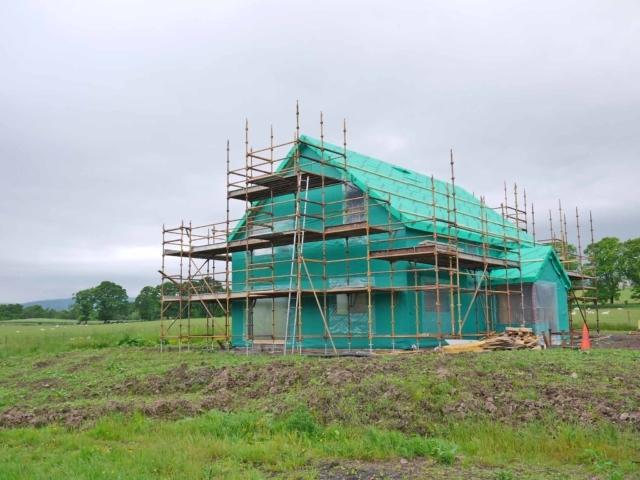 SIPS construction was selected to provide a very thermally efficient, airtight shell, which would then be clad externally with larch cladding on the walls, and natural slate on the roof. 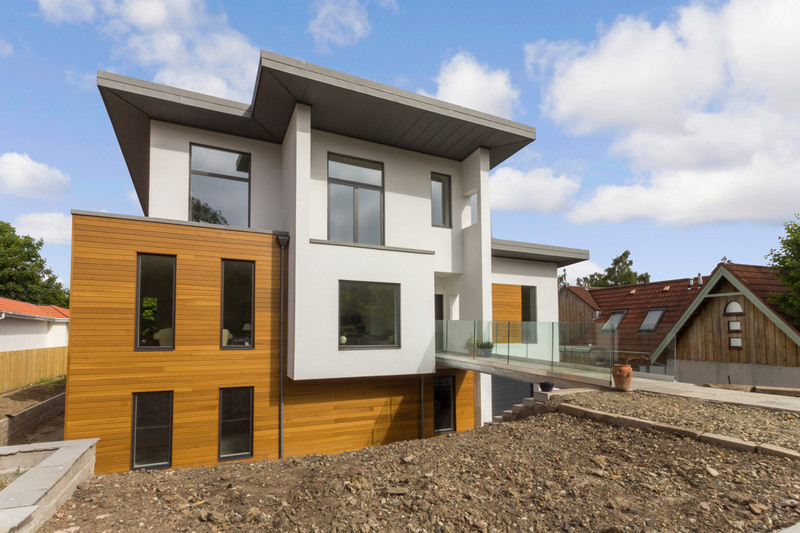 ‘L’ shaped roof windows, and a ridge rooflight were used to provide a light, airy upper floor. 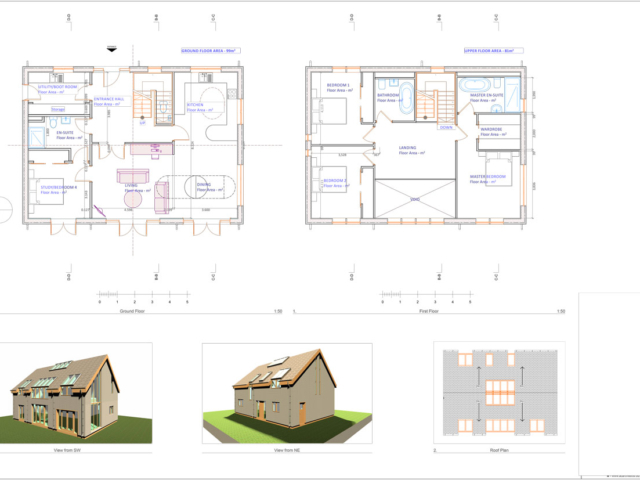 The house received Planning approval in 2015, Building Warrant was approved in 2016. 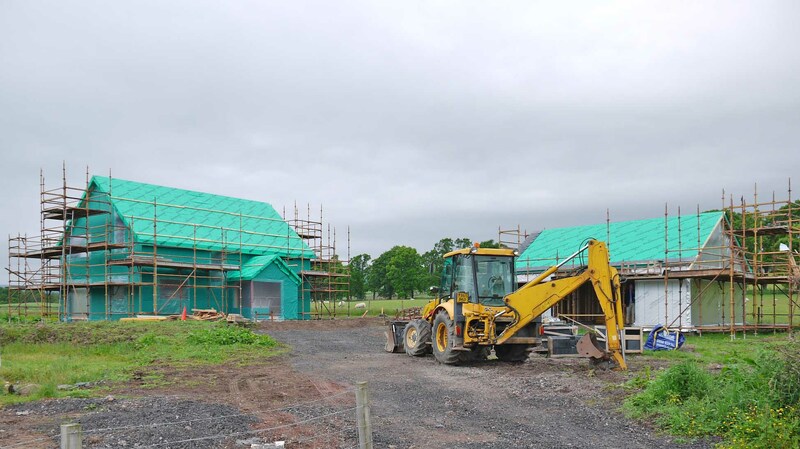 Construction is well under way, with completion scheduled for mid 2017.